What would you do if the world broke? 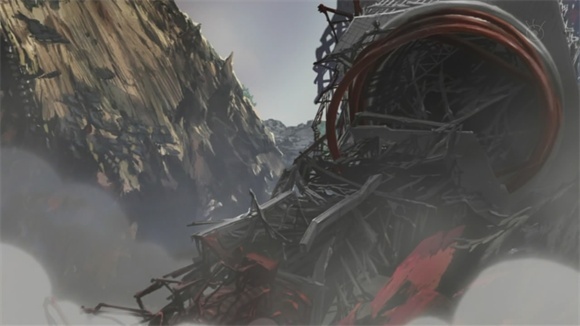 Tokyo Magnitude 8.0 is BONES’ answer to that question, describing the aftermath of a major earthquake in the heart of Tokyo. The series follows Mirai, her brother Yuuki, and a friendly woman named Mari who they meet at the beginning of the disaster, as they journey from Odaiba, where they meet, through the wreckage of Tokyo to their homes in Seijo and Sangenjaya. When we meet Mirai, she is caught in the throes of puberty and acts like a stereotypical (perhaps even archetypal) angsty teenager. Her parents are busy with their work and expect her to take more responsibility around the house, but she misses their attention and resents her younger brother Yuuki’s carefree attitude. Even after the earthquake strikes, Mirai whines and complains; this turned some people away from the series, which is a shame. Mirai isn’t whiny all the time; when the earthquake hits, she immediately fears for Yuuki’s safety and goes into the building they were in to look for him. But as the three journey on, Mirai begins to really mellow as she takes in the seriousness of the situation. After seeing one of her classmates crying over her dead father, Mirai laments her inability to help. As the series progresses, Mirai becomes less of a “phone alien” and more of a human being, understanding the gravity of the situation and wanting more and more to return to the family she felt so frustrated with before. Episode 7 is in some ways a microcosm of Mirai’s emotional growth; early in the episode, Yuuki meets Kento, a boy about Mirai’s age. Both are fascinated by robots, and Yuuki follows Kento off to learn more about the robots being used in the rescue effort. 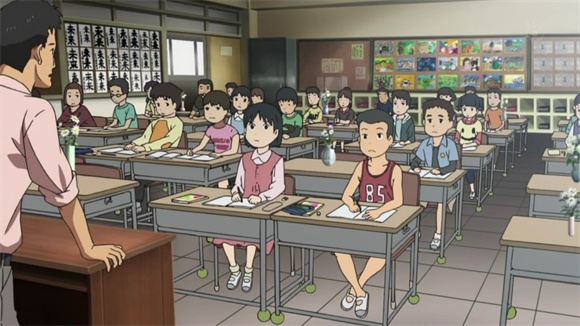 Initially, Mirai dislikes Kento and is jealous of his ability to capture Yuuki’s attention, but Kento and Mirai are eventually drawn together when he tries to save a robot, and Mirai’s anger cools. Meanwhile, Mirai also gains an appreciation for her parents and resolves to “be nicer to them when we get home”. It was a dream! Yuuki stil lives! …when Mari wakes her up. 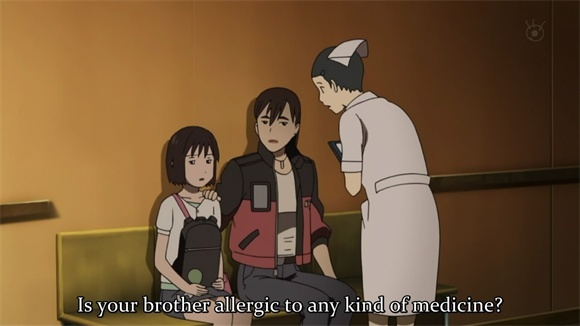 A nurse questions Mirai about her brother’s medical history, and Mirai and Mari end up outside of an operating room, with Yuuki presumably undergoing surgery inside. 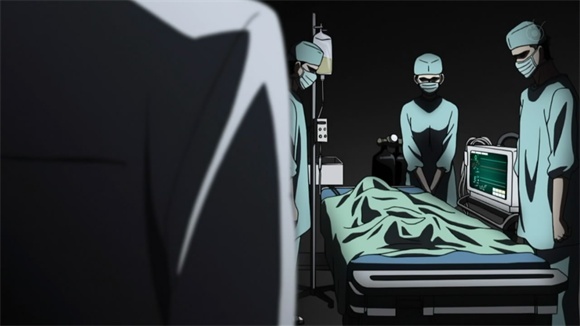 Time passes, but when the doctor emerges, he brings sad news; Yuuki is dead, seemingly his second death in under ten minutes. Mirai again breaks down sobbing. ...but the doctors couldn't save him, and he still died. But then Yuuki’s voice awakens Mirai again, and she ventures to a field where a group of children are playing soccer, and Yuuki is alive and well. He claims to be fine, and though Mirai tells him to rest she is noticeably relieved. No, it was another dream, and Yuuki's fine. The first time I saw this episode, I was in shock. At first, I was amazed that BONES decided to kill Yuuki off; he was the cheery person in the trio, the one who could stay optimistic and cheer up the others when they felt depressed. When his corpse turned out to be just a dream, I felt relieved. And then BONES killed him again, and I was even more shocked; Yuuki really was dead! But then it turned out to be another dream, and my emotions settled again. 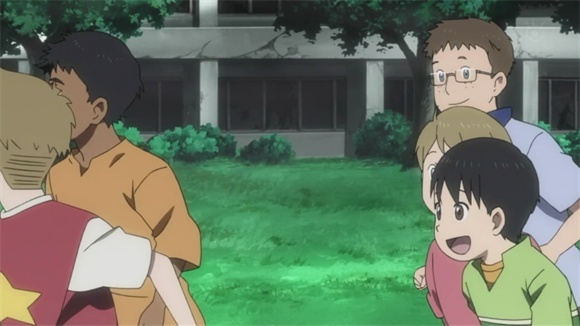 And even better, Mirai started acting like a mature adult toward her brother; she finally realized that she was responsible for helping him, and started being the big sister she should have been. She even cheered up Mari! I felt like the series and its characters were starting to fall into place. And then I read this. It shook me to my core, and totally overturned everything I had thought about the series. I didn’t believe it; BONES wouldn’t really kill Yuuki, especially after faking it twice. But it intrigued me enough to watch the episode again, and as I did I started to see the signs. Mari’s downward glances, the two bedrolls, the awkward angles at which Yuuki appeared to kick the ball—it all made sense. 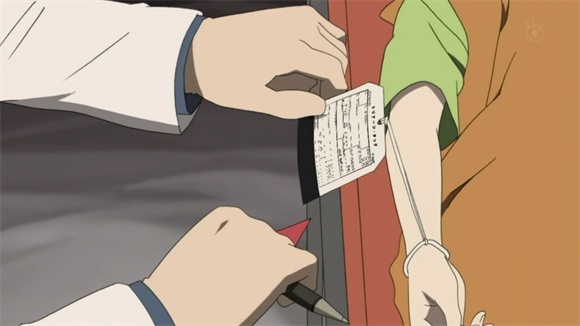 I still didn’t know for sure—I still hoped that I was insane, and that Yuuki was still alive—but I was convinced that he was dead, and I waited impatiently for the next episode to find any further evidence, one way or the other. 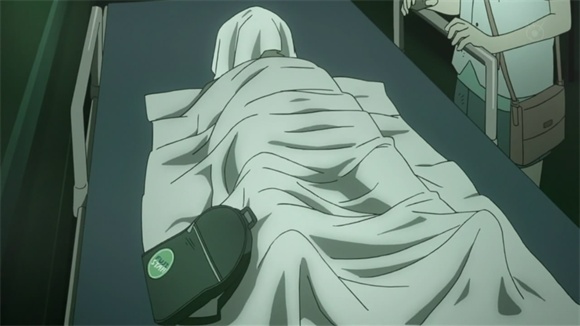 But by the end of episode 9, it was clear; Yuuki had passed. 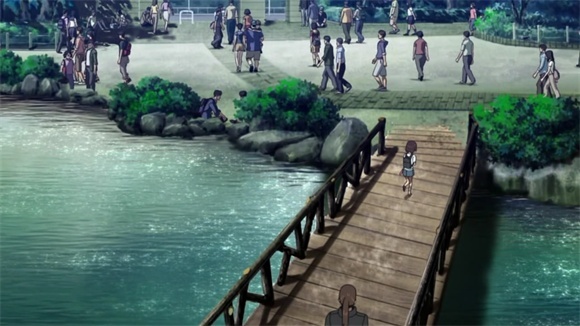 The following episode, Mirai finally came face to face with his death, but for me the damage had already been done. I can’t help but admire BONES for pulling such an elaborate stunt. There’s a huge difference between watching someone hallucinate that a dead person is still alive and being that person yourself. Yuuki’s two deaths in episode 8 foreshadowed and represented his actual death, but just as much displayed Mirai’s—and, at least, my—desire for Yuuki to be alive, the desire that his death was only a dream, and that we would awaken to his cheerful smile. It showed that BONES wasn’t kidding when they said they wanted the show to be realistic; they weren’t afraid to show death in a very personal way. And it maintained the tension of the earthquake through the end of the series, turning it into an emotional rollercoaster. 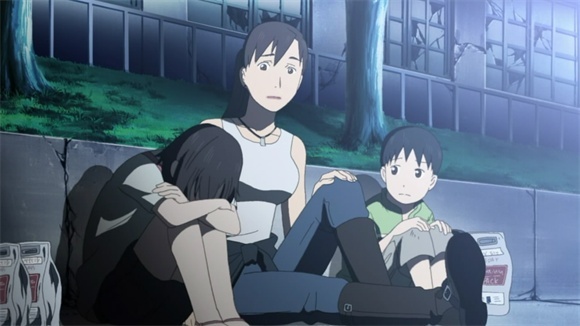 It gives the show another purpose, as well; Tokyo Magnitude 8.0 answers the question, “How do we face the death of a loved one?” Yuuki’s death draws the rest of his family closer together in the aftermath of the earthquake and forces Mirai to mature; but as viewers, we too are forced to choose between reality and fantasy in reaction to his death. We get pushed into considering our own reactions: how would I react if a close family member died? I’m fortunate enough not to know yet, but I can’t help but contemplate it, ponder it, imagine it, prepare for it. And I think preparation is the real point of Tokyo Magnitude 8.0, for both disaster and loss, and that’s why Yuuki’s death is Moment #5. It really does impress me how much detail is worked into the episodes to show how Yuuki is indeed dead — though these things only hit us in hindsight. But hit us indeed, and with a powerful strike too. I’m not quite ready to give the show a rewatch, but yes I’m rather happy with the whole thing.